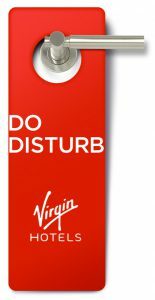 At Virgin Hotels, we know that what we say is important, but how we say it also matters. We (and the rest of the world) refer to this as our “Tone of Voice”. It’s distinct and what makes it extra special is that we carry this tone into our communications with our partners. So, What is Our Tone? Express our Enthusiasm: We love our industry and our guests. After all, we are the Consumer Champion. Do we Speak a Different Tone in our Business Dealings? Nope! We bring this same Tone to our partner discussions. As a branded hotel manager with long-term contracts, we need to cultivate strong relationships with our owners and developers. Strong relationships are built and maintained by thoughtful and engaging communication. From our first meeting through the closing of the HMA, we carefully explain our point of view. We may not agree on every issue, but we ensure that our negotiations are constructive and collegial. One reason for that is that we focus on the points that really matters to us, and we listen intently to your concerns. Another reason is that we bring our unique Tone to our dialogue. We just can’t help it, these principles are ingrained in our DNA. We are here to build lasting partnerships, and we have fun doing it. When we speak about our deal, we think you will enjoy hearing the Tone of our Voice.